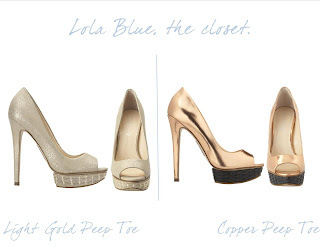 One of my close friends - asked for help in finding a cute gold peep toe for this weekend! So of course I got on it right away. And I fell in love with these two metallics! One is the light gold and the other is more of a copper but can pass as a "burnt" gold, if you may. Want them? You just have gotta have them? Comment me, I will tell you where you can get your own pair!